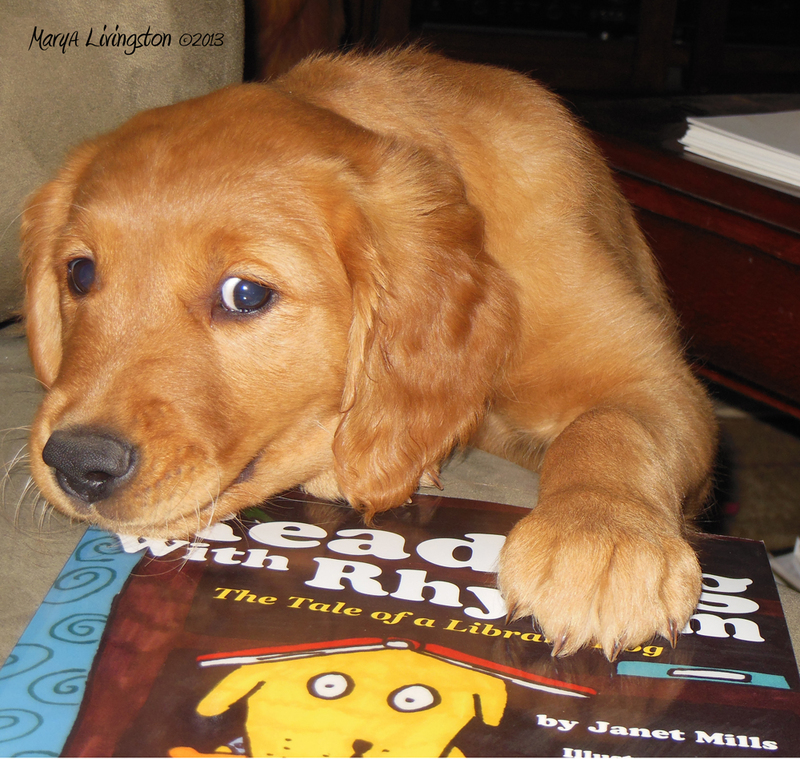 This entry was posted in Bliss Tips, Pets, Photography, Picture Books and tagged golden retriever, golden retriever puppies, puppies, Reading With Rhythm by MaryALivingston. Bookmark the permalink. Hmmmm….He has been talking to Tessa (T2). Who needs a shredder when you have a Golden! He obviously has good taste! Oh my, caught with one thought in mind! I know what he’s thinking! haha! I’m soooo glad he enjoyed my book!! I seem to have gotten a tail wagging endorsement for my book from Kinta, the new pup over at the Livingston household. He thinks it’s a story you can really get your teeth into! Thanks Ms Livingston!